Is Your State Prepared to Save the Children in a Disaster? You are here: Home / Philanthropy / Global Team of 200 / Is Your State Prepared to Save the Children in a Disaster? Save the Children launched a report last week that shows how prepared each state is (or isn’t) if a natural or other disaster happened. As part of its Get Ready. 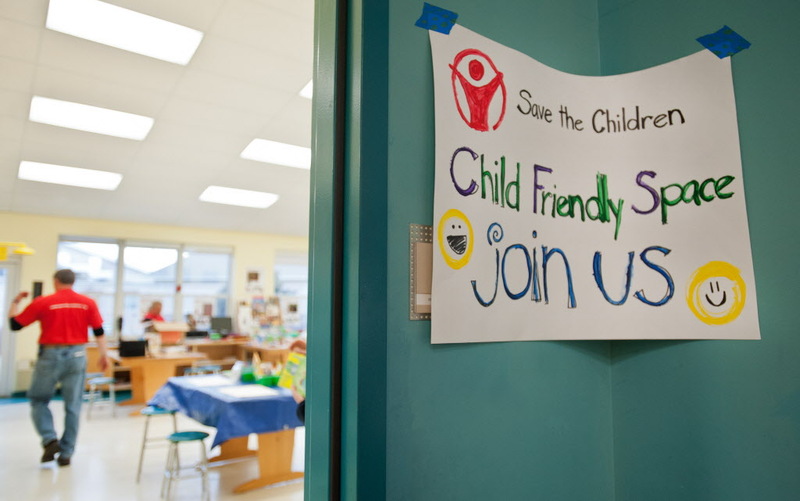 Get Safe campaign, Save the Children’s report is a state-by-state assessment of U.S. preparation and safety standards for children in child care facilities and in schools. This is the sixth year the organization has released a preparedness report. While progress has been made, more than half of the states still fall short on preparedness. Only four states – New Jersey, Tennessee, Nebraska and Utah – were congratulated by Save the Children for taking action to protect children over the past year. In Maine, where I live, we are not prepared. Maine’s rating is “Unsatisfactory” because we do not have a plan to evacuate children from child care, for reuniting families after a disaster or for children with disabilities and those with access and functional needs. The only criteria Maine does pass is having a multi-hazard plan for all K-12 schools. I know that my 8-year-old has practiced lock down drills in his school since the tragic shootings at Sandy Hook Elementary School, and I have noticed more security measures being put in place each year since he started public school. But is it enough? 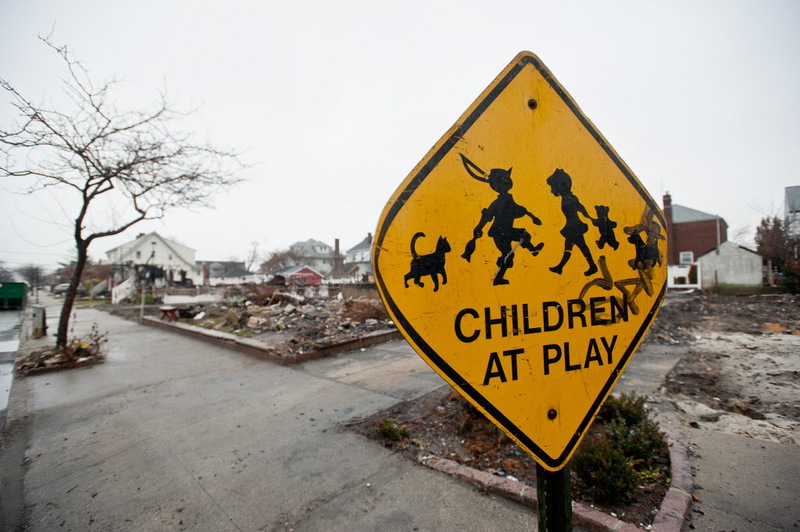 I hate to think of what would happen if an event like Hurricane Sandy or the Sandy Hook shootings occurred in my town. How long would it take for me to be reunited with my kids if they were at school and/or daycare? When Hurricane Katrina hit in 2005, one month after my oldest son was born, it took 6 months to reunite the last child with her family. Imagine not knowing the fate of your child for six entire months. We tend not to think about disaster until it’s too late. As Save the Children notes, you can never be too prepared for a disaster. When I read the report on Maine, I immediately emailed the governor. I also downloaded a disaster checklist for child care providers and gave it to the owner of my daycare. I don’t have kids in school so I’m not sure what they have in our community I’ll be curious to find out however. It really was very reassuring to know how everything was planned down to the last detail for her and the others in her community. Clearly our children deserve a plan to keep them safe and secure as well. It’s amazing that we would overlook our kids. They may be in the care of adults during the day, but most states don’t even require evacuation plans if something goes wrong. This report was eye-opening for me. Hmm… Massachusetts got “A Great Start!” I’ll take it. It’s not just about state, but my husband always says that no one around here is prepared for disaster. We live in such a peaceful place, but I remember when a freak blizzard hit in October two years ago, and no one could really cope. I remember trying to get gas in town and it was like a zombie apocalypse. It did make us learn more for the future, though. We were spared from Hurricanes Irene and Sandy but my New Jersey family wasn’t. I’m just hoping we’re learning more as weather, and humans, will inevitably grow more unpredictable. Or stay as unpredictable as they are. Tamara recently posted..I’m Totally Off My Game This Week. Learning is key, I think. There have been some horrible disasters recently. If we can’t learn from then, how can we progress? Some of the stories in the report are heart-breaking. When you look at how easy it is to come up with a plan, it seems like a no-brainer. I watched all the coverage for Katrina since I was on maternity leave with a one month old when it happened. Talk about emotional! That was 8 years ago. You’d think we’d learn to have a plan by now. Yay Tennessee is on the list… makes me feel a bit better. I could NOT imagine waiting six months to find my child and not knowing. Breaks my heart. MomChalant recently posted..Where Were You On 9/11? It’s scary to think about, isn’t it? SC is halfway there. They look like they could use improvement but at least they have something in place, I honestly wasn’t expecting much. Julie @Momspective recently posted..Tailgate #Giveaway – Enter To Win A $100 Prize Pack From McDonald’s! I guess it’s good to have low expectations sometimes. 🙂 Sounds like more states could use some improvement. Like Tamara, I’m glad to see Massachusetts is “off to a great start!” Sam and I decided a little while back that we need to have a little bit of a disaster plan/kit, especially now that we’re going to be parents, but I always thought of it for ourselves and not about how well-prepared our state is. I will definitely be looking into that checklist for providers for down the line. Thanks for sharing! Hmmm – that is frightening really. I’m going to see if Canada has some sort of similar rating or plan mentioned anywhere!!! I know Save the Children has a Canadian site. Definitely worth a look! You need a disaster plan anywhere in the world. I never even thought to find out about the evacuation plan for my children’s new school until I read this – along with a whole lot of other things. Thank you Jen for this awareness. This is important stuff. It really is. And though I don’t really want to think about it, it doesn’t take that much to be prepared. Connecticut has ‘a great start.’ I know there are a lot more plans in place now in the schools since the Newtown tragedy. But some of the things I hear about I just wonder how effective they are…like a school having an unarmed security officer. But now we have fewer tutors. The resources are so thin, it’s ridiculous. I’ve seen extra police presence during drop off and pick up but there’s no crossing guard where we cross the street to get to the school in the morning. It’s crazy. Oh my… this is SO important!! I am just so glad you brought this to our attention, Jen! I can’t believe how ignorant our states are being in not addressing such a huge and scary “what if”. I will look into Ohio. What a powerful “face reality” post this is. Thank you! It so is, Chris. We don’t want to think about facing a disaster, but recent events have shown us how important it is to have a plan.